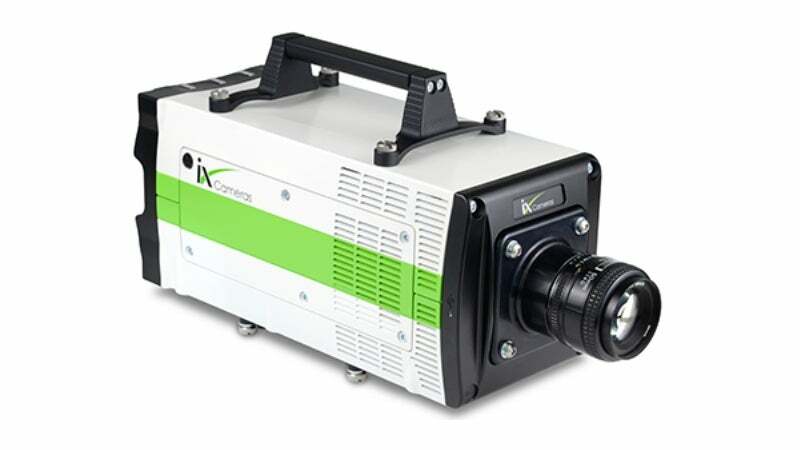 iX Cameras new innovative i-SPEED 7 Series is equipped with ground-breaking specifications for challenging scientific applications. Designed for engineering and research, i-SPEED 7 cameras provide the perfect balance of ultra-high resolution, with higher pixel density for accuracy, and the ability to zoom in to magnify detail. The cameras record speeds that capture even the fastest transient events without any blur, and they don’t just slow down motion, they analyse it. The i-SPEED 7 Series are more than just raw recording power – they are state-of-the-art scientific tools that are loaded with features that benefit the user in a lab or a test range. The 716 has the same great features as the i-SPEED 720 and i-SPEED 726, including 12-bit mono / 36-bit high resolution images, external swappable 1TB SSD’s, i-FOCUS, i-CHEQ, and up to 288GB of optional memory. However, the i-SPEED 716 features 16 gigapixels per second throughput along with optional IRIG time code and a rugged environmental package. Each i-SPEED 716 also comes with the i-SPEED Software Suite 2.0, and upgrade to the premium bundle for advanced control, analysis, editing, and playback. When your application demands exceptional performance from your camera, the i-SPEED 716 is the ideal partner. To find out more, please contact the company via the enquiry page or download the catalogue below.